As part of the ongoing confidence building measures between India and China, and to give a boost to the interactions between the two armies, a border personnel meeting was held at Kibithu on the Indian side of the Line of Actual Control (LAC) on Saturday to celebrate the 70th Republic Day on Saturday. A small village in the state’s Anjaw district, Kibithu is around 600 km from here. The Indian delegation for the border personnel meeting was led by brigadier Robi Kapoor of Dao Division of the Army while the Chinese delegation was led by senior colonel Xu Hong Gang, a defence statement said. The Indian delegation, while welcoming the Chinese side, expressed hope that coming together of troops from both sides would facilitate development of mutual cooperation. The Indian Army also presented a cultural programme showcasing the rich culture and heritage of the country. Both the sides agreed that joint celebrations signified the importance attached by the two countries to enhance the trust and cooperation and hoped that such interactions will continue to foster the environment of mutual confidence and understanding. 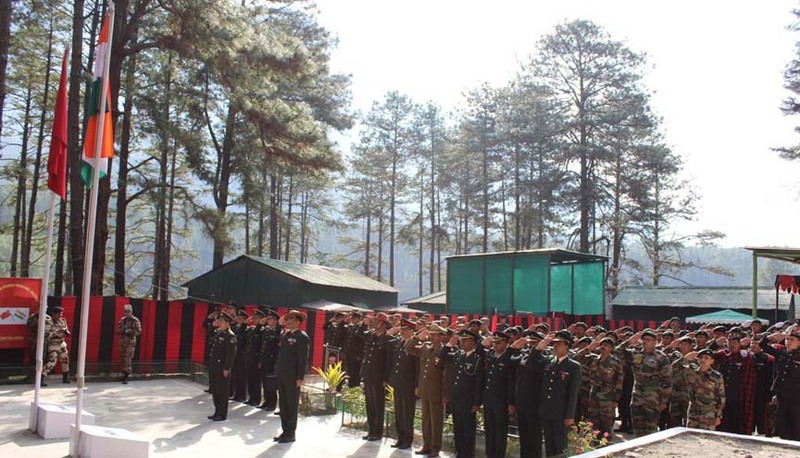 Indo-Myanmar post level meetings were also held during the day between Assam Rifles and Myanmar Army at nine different locations of the Northeast including Arunachal Pradesh, Nagaland, Manipur and Mizoram as a part of confidence building measures between India and Myanmar and in order to further consolidate the ties, another release said. Apart from cultural programmes, both the delegations also engaged in friendly sports events, the statement added.